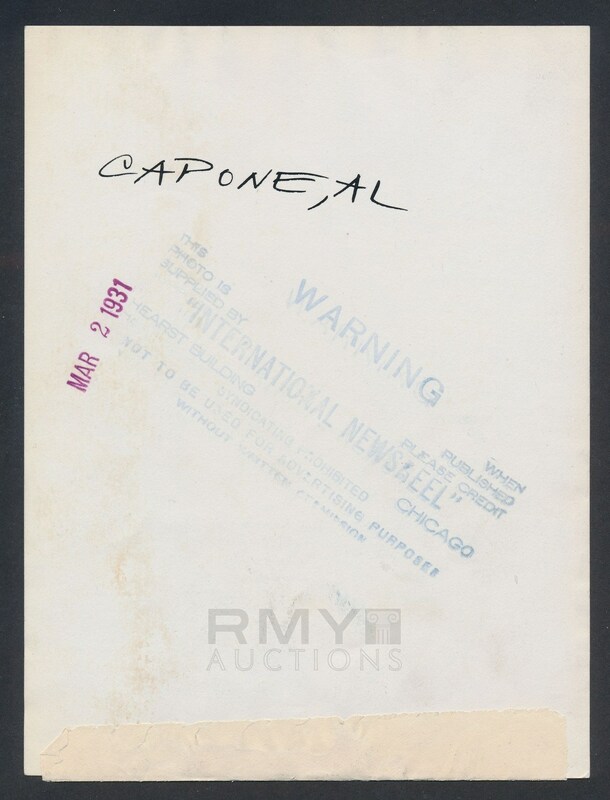 Lot # 25: 1931 Al Capone, "Scarface Appears in Court" Charged with Contempt! 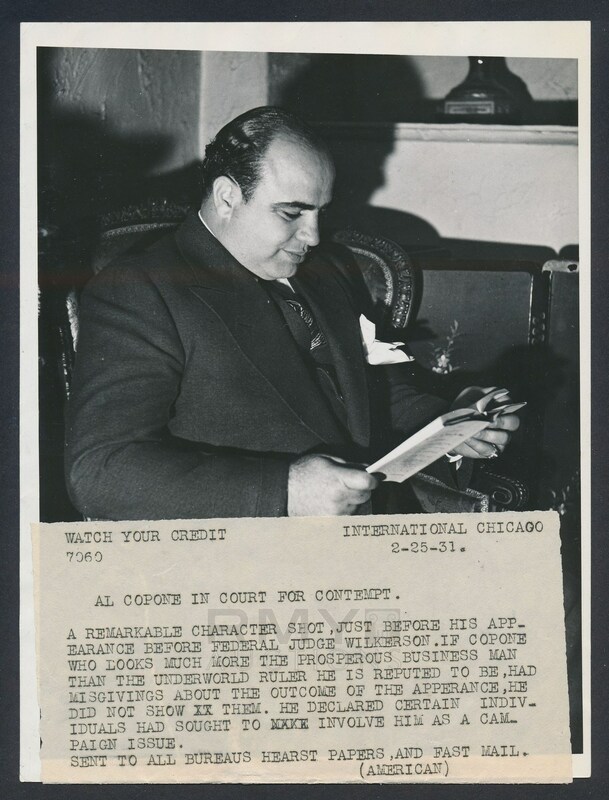 1931 Photograph of the famous Chicago gangster Al Capone as he appeared in court on contempt charges shortly before he would finally be put away on a tax evasion conviction. One of the last images of 'Scarface" as a free man that we have seen and one that grades nearly perfect! Issued by the International News and stamped on the back with a full paper caption as well. 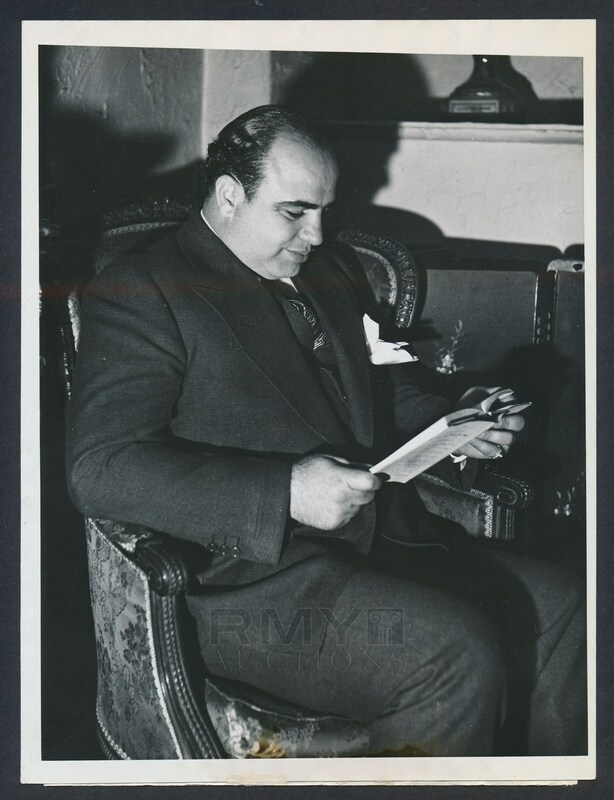 Most images of Capone from the era were shot quickly and are a bit blurry, but this one is crystal clear and looks amazing!